﻿﻿﻿﻿﻿﻿﻿Karen Pullen has published award-winning short stories and two mystery novels in the Stella Lavender series, Cold Feet and Cold Heart, from Five Star Cengage. A short story collection, Restless Dreams, will be released in September 2017 from GusGus Press, an imprint of Bedazzled Ink. She has an MFA in popular fiction from the Stonecoast program at the University of Southern Maine and serves on the national board of Sisters in Crime. 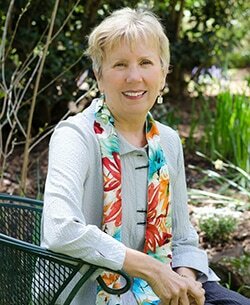 She lives in Pittsboro, North Carolina, where she manages Rosemary House, a bed & breakfast inn. Visit her website at www.KarenPullen.com.